We may not have heard of him, but much of what we see and hear as record collectors can be traced back to the innovations of danceband leader, classical violinist, and recording engineer Enoch Light. Although hardly a household name today, there is a fascinating backstory on this pioneer of recorded music. He was involved in, or initiator of, many of the developments in commercial music recording which are now taken for granted. For example, multimic recording, stereo recording, the use of 35mm magnetic film for master recording, and 4channel (quadrasonic) recording. 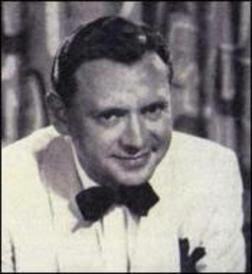 He was a busy musician from the late 1920s and throughout the 30s, 40s, 50s, and into the early 1960s, and then again in the early 1970s. What really fascinates me about this “hero of the recorded work” is that he was both an innovator of technology and of technique in recording music. His album covers used minimalist and abstract art as well as lengthy prose on his recordings. He introduced the gatefold sleeve to accommodate his lengthy notes. He pursued the highest quality recordings that the technology of the day could produce, introducing pingpong stereo multitrack recording in the early 1960s by positioning musicians in the studio for best effect, including isolating single and group players. He recognised the need for what we now call audiophile recordings for the discerning listeners for whom the emerging popular material was inadequate. His own record labels Grand Award Records and Command Records released many popular records in many genres from the late 1950s. But when Command was sold to ABC Records, and subsequently to MCA Records, the managers changed the releases to budget labels and pressed in recycled vinyl, also dropping the liner notes and gatefold sleeves. Quality, and sales, plummeted, and they were discontinued in 1975. Light had already started his third label Project 3, focusing on big band recordings, many lovingly recreating the classic arrangements of the heyday of the genre, and featuring many of the original players. 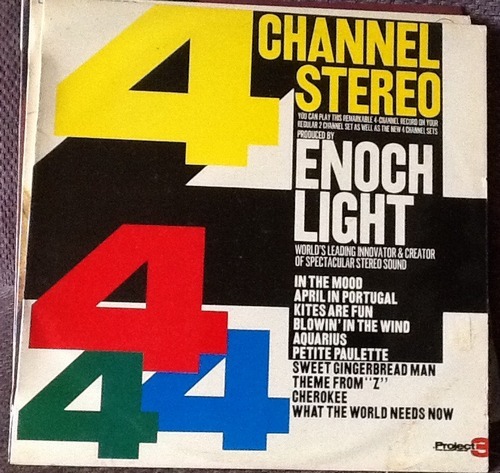 The truly remarkable “master of sound” Enoch Light was born in Ohio in 1905, retired from music in 1974, and died in Connecticut in 1978. In recent years many bands have sampled his works. The Project 3 total sound stereo record pictured was issued in 1972. Many of the Project 3 recordings are available on CD from Essex Entertainment. Perhaps his best known album is Provocative Percussion, which highlights the stereo technique. A fuller account can be found at Wikipedia and on the “Space Age Pop” website.